Elizabethan collars are the standard device used to prevent small animals biting or chewing on wounds, injuries, treatments or bandages. The Genia Greencol is special as it is made from 80% recycled, transparent polypropylene. It is also 100% recyclable. The size dimension is the length of the collar from neck to rim. 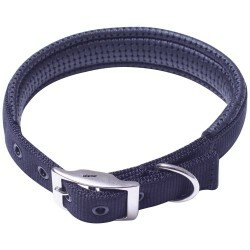 Use the circumference dimension to check the size collar most suitable for your pet. The collar needs to slip just neatly over the head of the animal when assembled. To prepare, engage the end clips to create a cone (smooth side inwards) Create the neck collar loops, then slide the assembled collar over the animal’s head. Thread the animal’s neck collar through the Elizabethan collar loops, and secure together on the animal. (Instructions supplied with collar.) Reverse procedure to remove. Manufactured and supplied by Genia, France.